Top Turkish diplomat says any foreign intervention in Venezuela is 'not right'. 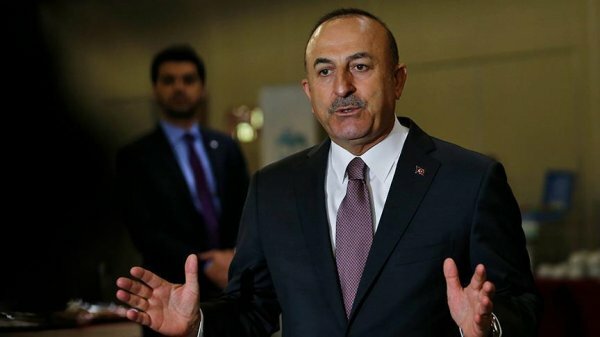 Any foreign intervention in Venezuela is "not right" and will deepen the problem, Turkey’s Foreign Minister Mevlüt Çavuşoğlu said on Friday. "NOBODY SHOULD DISRESPECT THE WILL OF VENEZUELAN PEOPLE"
"We are telling since the beginning. Such foreign interventions are not healthy and not right. They will not offer a solution. They will deepen the problem. 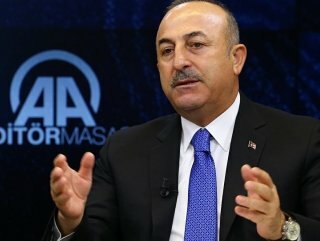 God forbid, the country [Venezuela] even can be dragged into a civil war," Çavuşoğlu told reporters in Romania. He added the countries should bring dialogue into the forefront instead of taking sides. His remarks came a day after the European Parliament recognized Venezuela’s opposition leader Juan Guaido as the legitimate interim president. Tension climbed when Guaido proclaimed himself the acting president on Jan. 23. "Nobody should disrespect the will of Venezuelan people," Çavuşoğlu said, referring to the elections that brought Maduro into the power. He called for dialogue and cooperation to solve the problem in Venezuela.